Does MyIdentifiers provide ‘e-ISBNs’ for ebooks? There is a common misconception that there are ‘e-ISBNs’. This is not the case. Once you have purchased your ‘normal’ ISBNs from MyIdentifiers, you will have the option to allocate them to your ebook at the Title Registration stage. 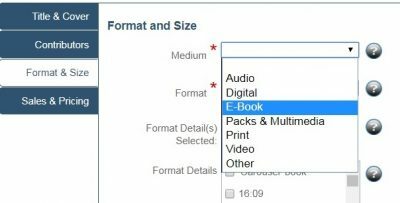 When you are reporting title detail to us at the ISBN Dashboards Format & Size page you should choose Medium: E-Book, Format: Electronic book text and you can choose to add File Type eg PDF, ePUB etc. 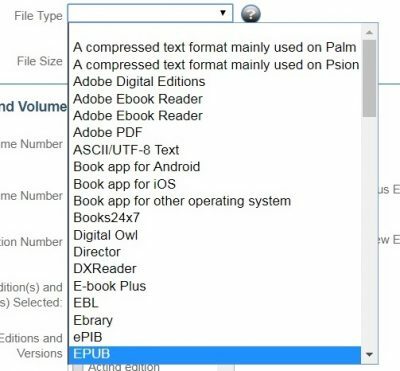 It is recommended that if you are producing both ePUB and mobi/Kindle file types, an ISBN should be assigned for each ebook format. They can then be listed together, along with the print publication’s ISBN if you have one, on the imprint page of the publication.